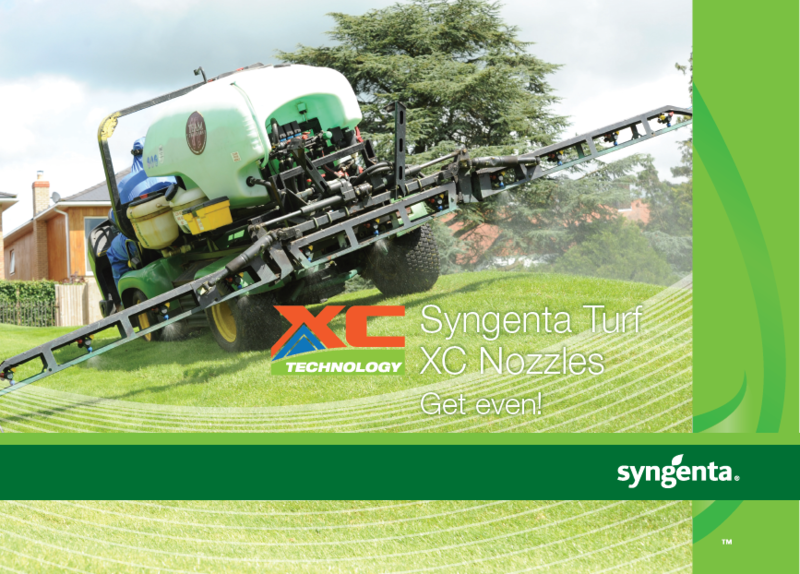 Find out about the unique features of the Syngenta Turf XC Nozzles to make your applications more efficient. Our XC Nozzles have the optimum backward spray feature for maximum coverage of every turf leaf as well as the carefully calculated spray angle to ensure even coverage between nozzles even when the boom drops below the optimum height. 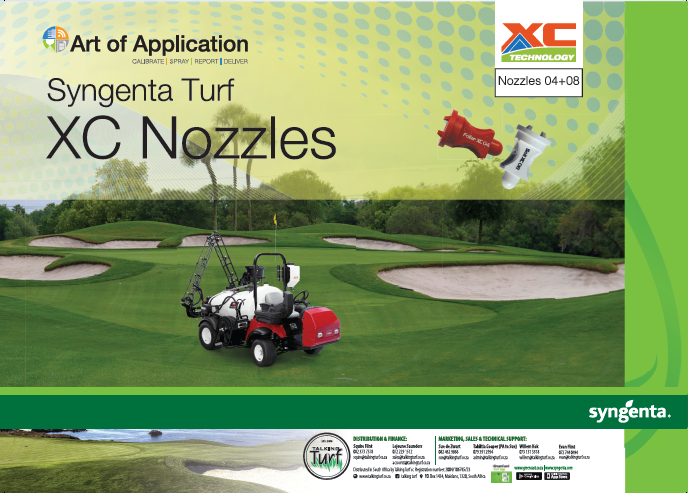 Also take a look at the XC Nozzle leaflet for a quick guide to Syngenta XC Nozzles ans suitable application rates. Syngenta Turf XC Nozzles. Get Even!